QUICK MAKER -Build 2 perfect snowballs in seconds with this simple, effective design. 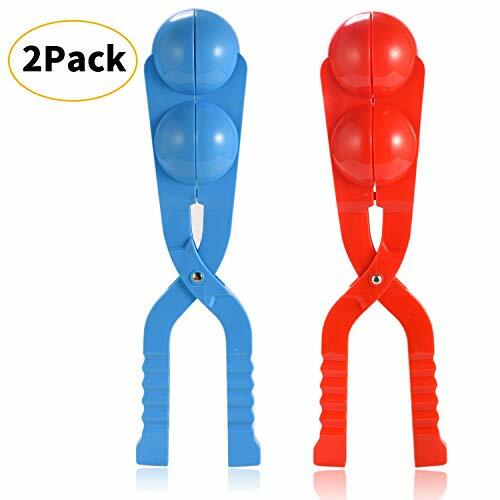 EASYGRABBING HANDLE- The snowball maker comfortable grip great for every age. ESSENTIAL FOR SNOW PLAY- This set of snowball maker provides all you need for a fun day in the snow. MATERIAL-Use thickening PP, The snowball maker is freeze resistant, wear-resisting, no peculiar smell, no burr, do not hurt hand.